(Seychelles News Agency) - Mysterious giants of the seas, the sperm whale glides through the depths, accompanied by the cacophanous clicks and groans that resonate through the stillness of the liquid world below the surface. Once hunted to the brink of extinction, an international moratorium on whaling, fiercely defended by some and fiercely opposed by others, has tried to save these gentle mammals from being completely wiped out, with some measure of success. 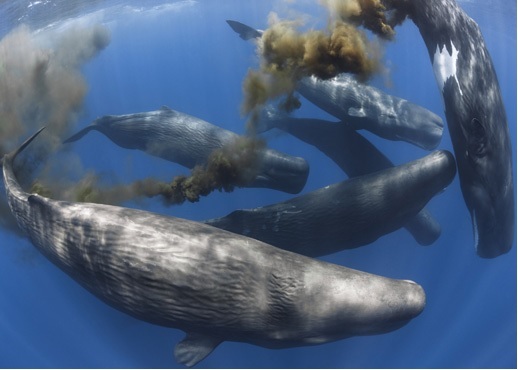 But for all the efforts to “save the whales”, a resounding eco-warrior battle cry that still echoes from the sixties, baleen and sperm whales, known collectively as the ‘great whales’, may be making an effort to save us, simply by answering the great call of Nature: pooping. “For a long time, whales have been considered too rare to make much of a difference in the oceans,” said Joe Roman, conservation biologist at the University of Vermont and lead researcher in the study, which included nine other whale biologists from universities across the United States, Canada, Australia and Germany. However, his team is certain that whales are not only playing a vital role in the balance of the world’s oceans, but could also help to reverse something as monumental as climate change itself. The researchers discovered that “whale pump” – the process by which great whales feed at great depths, then rise to the surface to release massive quantities of foul-smelling excrement – supports plankton growth, leading in turn to a huge rise in productivity for plankton-feeding fish. But it’s not only the nutrients that get passed down the food chain that is helping to maintain the earth’s delicate ecological balance, claim the research team. 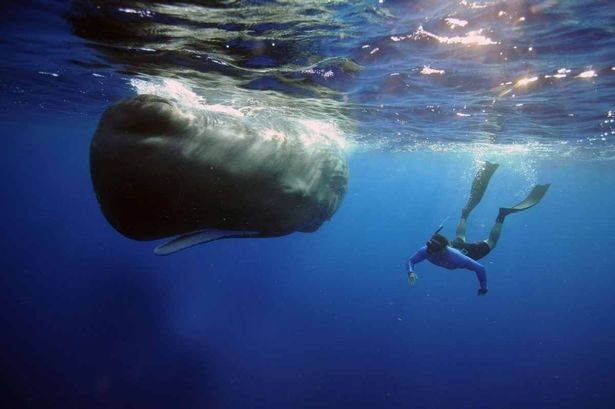 The giant mammals also alter the uptake of carbon dioxide in the world's oceans. Whales could, therefore, also be bringing down levels of greenhouse gases in the atmosphere. “The decline in great whale numbers, estimated to be at least 66% and perhaps as high as 90%, has likely altered the structure and function of the oceans, but recovery is possible and in many cases is already underway,” the research team wrote in the July 3, 2014 edition of Frontiers in Ecology and the Environment, where their study was published. Great whales, although they are the largest animals on the planet, consume some of the smallest creatures in the oceans, spreading the nutrients they have ingested throughout the water as they defecate. When the massive creatures die, their bodies sink to the ocean floor, known as ‘whale falls’, prompting a feeding frenzy for the many species which depend exclusively on the remains of the massive beasts. From the 11th to the late 20th centuries, baleen whales, which include blue whales, humpback whales and right whales, were hunted on a large commercial scale for their meat and oil, as well as the comb-like filtration system inside baleen whales’ mouths, known as baleen. From the early eighteenth century onwards, sperm whales also became a prime target of whalers. The head of the whale contains a liquid wax called spermaceti, from which the sperm whale derives its name. Spermaceti was used in lubricants, oil lamps, and candles. Ambergris, a waste product found in its digestive system, is still used in some perfumes. Whale oil was used to lubricate the industrial revolution’s steam engines of the 19th century, and was also widely used for cooking and making products such as margarine and lamp oils. Baleen was used to stiffen corsets, as parasol ribs and for the manufacture of items which today are more commonly made of plastic, such as combs. 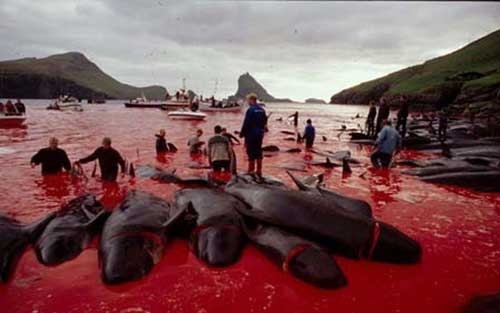 By the late 1930s, more than 50,000 whales were being killed each year. The tiny Indian Ocean island nation of Seychelles was no stranger to the culling, with its colonial British masters establishing a regular whaling industry there in the early 19th century, until around 1915. The catch, mostly sperm whales, were usually found in the northernmost reaches of the archipelago, around Bird and Denis Islands, and were then towed to a whaling station set up on Saint Anne Island, near the main inhabited island of Mahé. The subsequent discovery of mineral oils meant that the demand for oil from whales, which were becoming increasingly hard to find as their numbers were decimated, dropped dramatically. However, the contemporary whaling debate still rages on today, as populations from countries that have deep historical and cultural whaling traditions, such as Norway, Canada, Greenland and Japan who continue to demand and consume whale meat and use products from their carcasses. The pro-whaling countries continue to call for a lift on the 1983 moratorium on whaling by the International Whaling Commission (IWC), claiming that whale stocks have recovered sufficiently to sustain limited hunting. The lifting of the ban remains largely opposed by the international community and this latest study’s findings could lend greater weight to the anti-whaling movement’s arguments. In 1979 Seychelles, represented at the IWC by the acclaimed South African author Lyall Watson, took a determined step in proposing the creation of the Indian Ocean Whale Sanctuary to protect vital whale breeding grounds, standing firm despite severe political pressure and opposition from Japan. 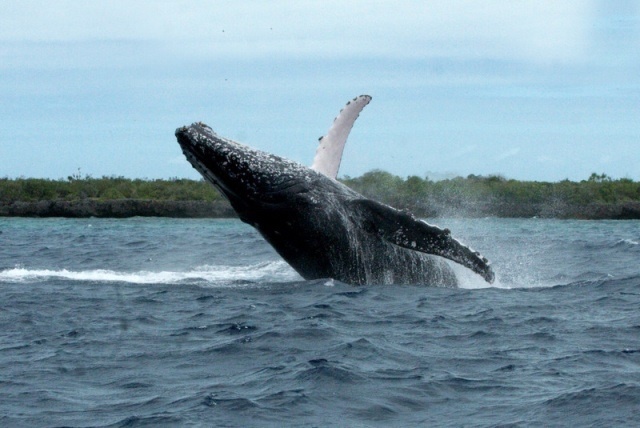 The massive region is one of only two whale sanctuaries in the world. The report confirms what many experts have suspected for a long time: that whales, both living and recently-deceased, are vital components of ecosystems in the ocean and in the functioning of the atmosphere. It also gives rise to the prospect that climate change may have been dramatically worsened by the bloody whale slaughters of the 20th century that removed hundreds of thousands of the giant mammals from the ocean and robbed the earth of the opportunity to absorb massive quantities of carbon dioxide from the atmosphere. The researchers now hope that the continuing recovery of whale populations could now help stabilize abnormally high levels of carbon dioxide and pollution and restore balance to our stressed oceans. Although whaling still continues today, according to quota systems and often under the guise of ‘scientific research’, the whales’ outlook has steadily been improving since their increased protection by the IWC, with various species’ numbers seeing estimated increases of between 3 to 10 percent annually.